Is that a camera shortcut on an iOS 5.0.1 lock screen? Apple introduced a handy lock screen shortcut for the native Camera app in iOS 5.1. You can quickly tap the camera icon from your iPhone or iPad’s lock screen and snap a picture. Unfortunately, jailbreakers left stranded on iOS 5.0.1 haven’t been able to enjoy this great feature — until now. 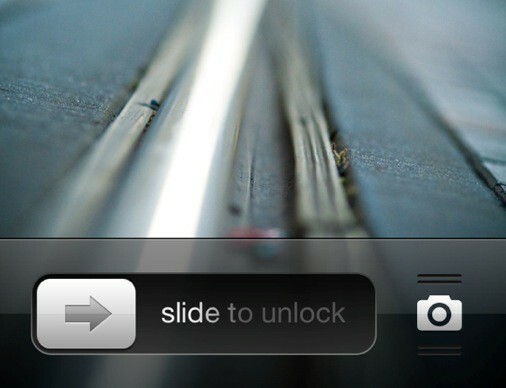 A new jailbreak tweak brings the lock screen camera shortcut to jailbreakers on iOS 5.0.1. “Camera Grabber for iOS 5” just went live in Cydia, and you can download and install it for free on a jailbroken device running 5.0.1. There are no settings to configure. The tweak developers do note that devices without a passcode will give full access to the Camera Roll whenever the camera shortcut is invoked from the lock screen. Simply pull up from the icon to engage the Camera app and view the photos you’ve taken already. While the look of this shortcut isn’t exactly identical to Apple’s, it’s pretty darn close. There have been other tweaks in the past that bring this type of feature to a jailbroken device’s lock screen, but Camera Grabber is the simplest we’ve seen so far. Until the untethered jailbreak for iOS 5.1 drops, you’ll have to download something like this tweak to enjoy the same lock screen shortcut 5.1 devices boast.